He’s a businessman, environmentalist, philanthropist and scion of one of America’s most prominent families. 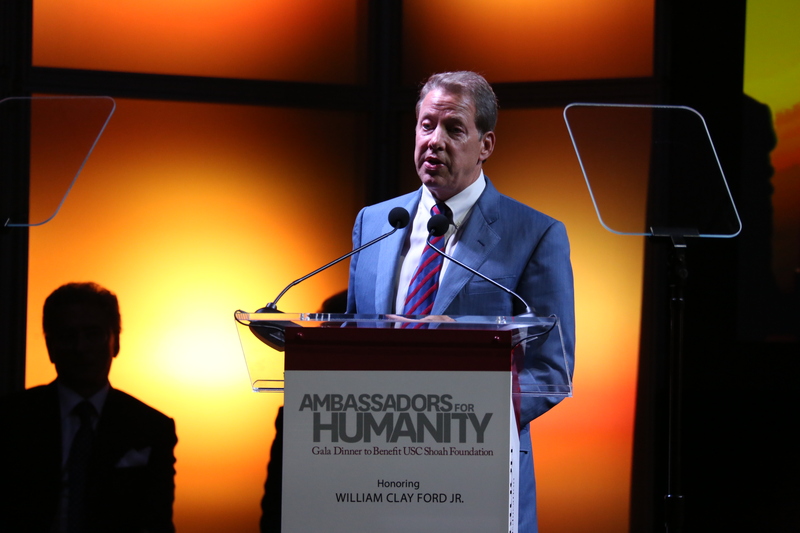 But it was Ford Motor Company Executive Director William Clay Ford Jr.’s commitment to education and his devotion to the Detroit community that prompted USC Shoah Foundation – The Institute for Visual History and Education to honor him with this year’s Ambassador for Humanity Award. 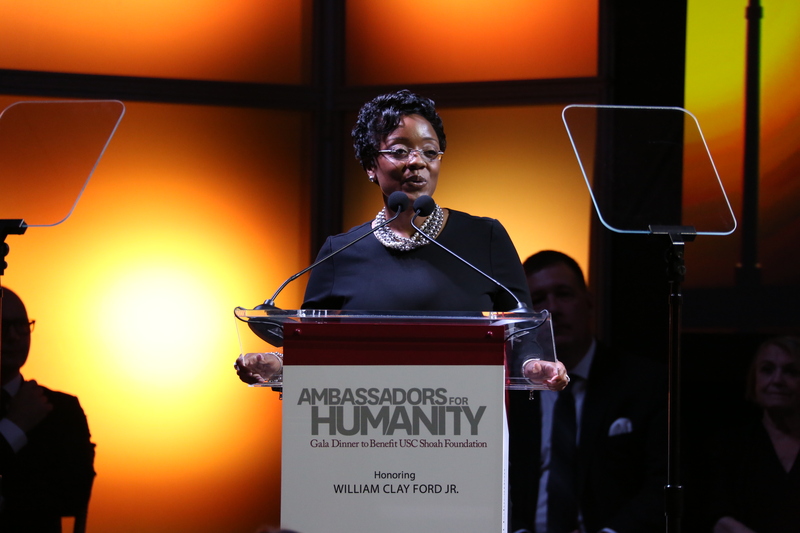 Ford received the award during the annual Ambassadors for Humanity fundraising gala for the Institute, held Sept. 10 in Detroit. 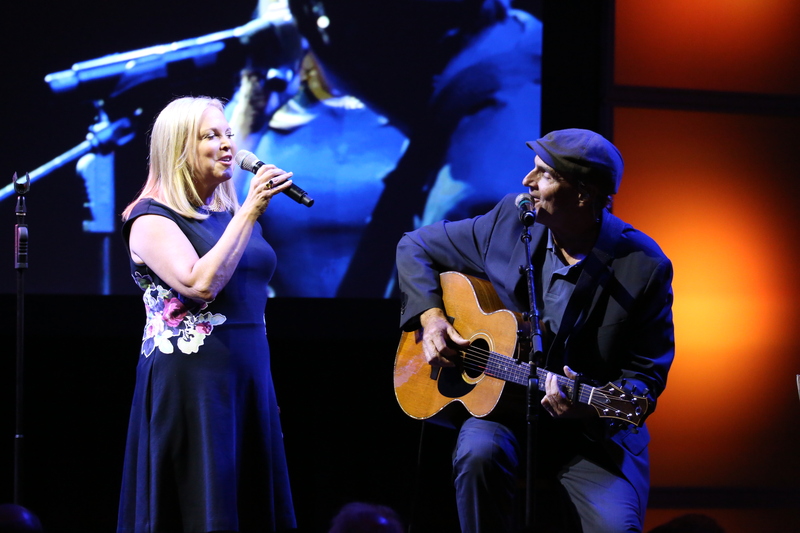 Nearly 1,000 people from Michigan and California mingled in the cavernous Henry Ford Museum, which was transformed into a banquet hall for the event. 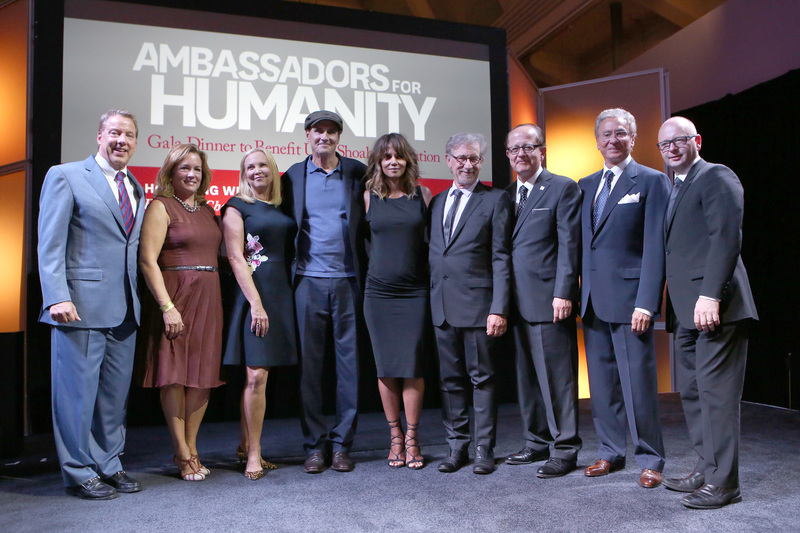 Guests included USC President C. L. Max Nikias and Steve Kay, dean of the USC College of Letters, Arts and Sciences. 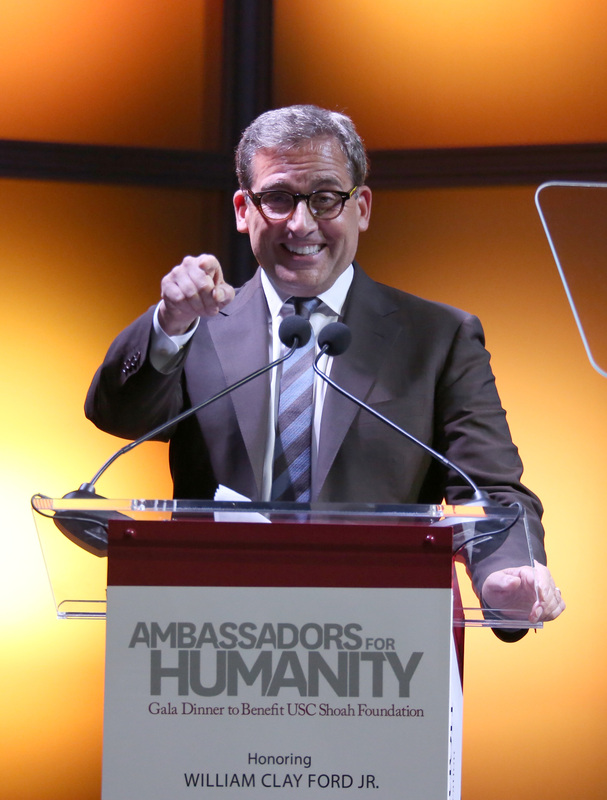 Golden Globe-winning, Emmy and Academy Award nominated actor Steve Carell served as host, while Emmy and Academy Award-winning actress Halle Berry was the event’s special guest. 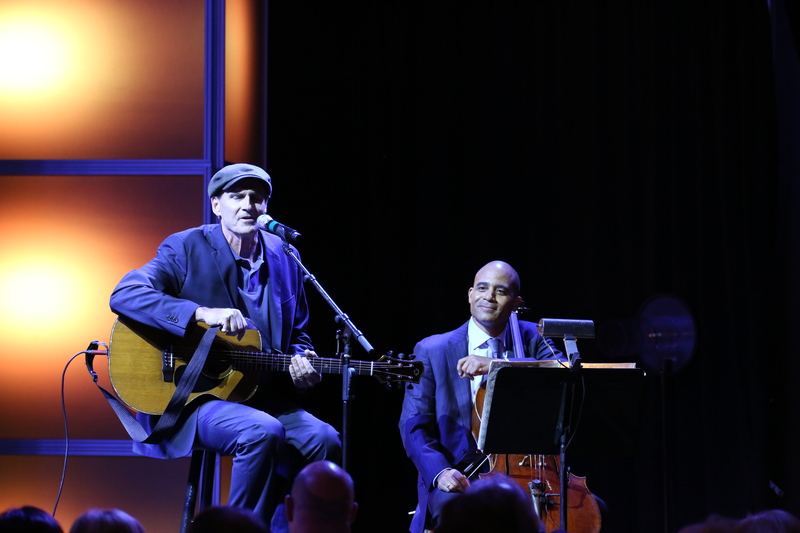 Grammy Award winner James Taylor provided the night’s entertainment. 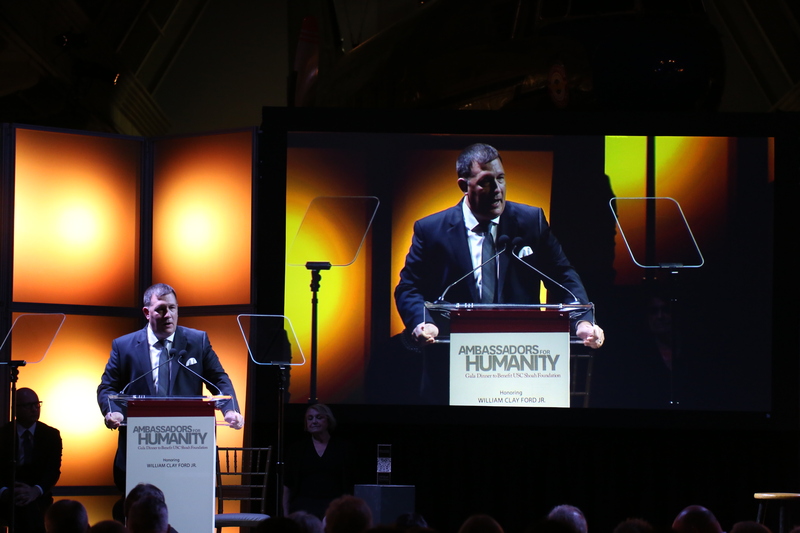 Detroit was chosen as the location of the gala because Ford and USC Shoah Foundation are working together on a push to bring the Institute’s award-winning IWitness educational program to more schools in the area. Called IWitness Detroit, the two-year effort is a two-year partnership between USC Shoah Foundation and the Ford Motor Company Educational Initiative. The Institute also has strong ties with the community – more than 300 testimonies in the Institute’s Visual History Archive were given by Holocaust survivors who came to Detroit after the World War II. One of them, Paula Lebovics, spoke at the event. And the gala’s co-chair was Mickey Shapiro, a Detroit-area developer who also serves on the Institute’s Board of Councilors. 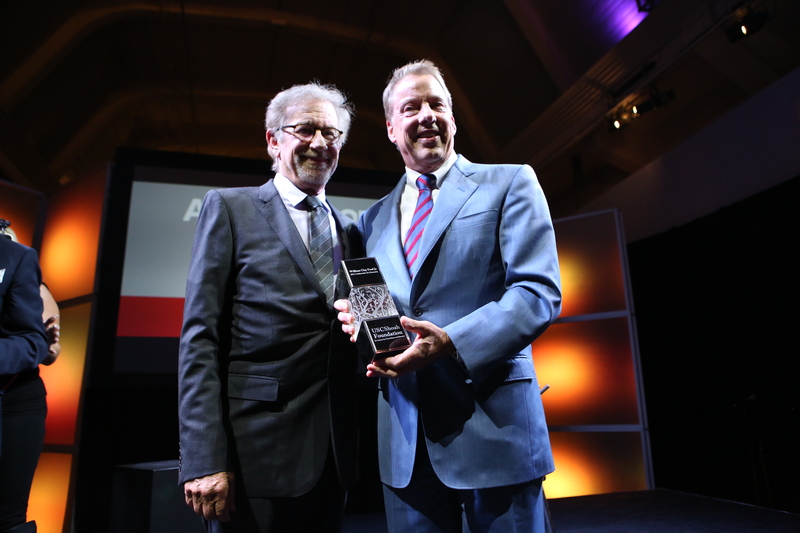 In introducing Ford, Spielberg quoted the honoree himself: "The purpose of any company is to make people’s lives better." For his part, Ford talked about the challenges he faced in bringing his environmental concerns to the auto company started by his great-grandfather, Henry Ford, and how proud he is of the efforts he and his fellow Ford employees have made in recent years in helping others. Ford also touched on his passion for education. It was also announced that Ford Motor Company will sponsor the Institute’s IWitness Video Challenge for the next two years. The annual challenge invites North American students to watch testimony from genocide survivors and create video projects that bring positive change to their communities. Nikias, who was instrumental in bringing the Institute to USC when he was provost in 2006, spoke of his ongoing commitment to safeguarding the voices of the 53,000 survivors of the Holocaust and other genocides in the VHA. 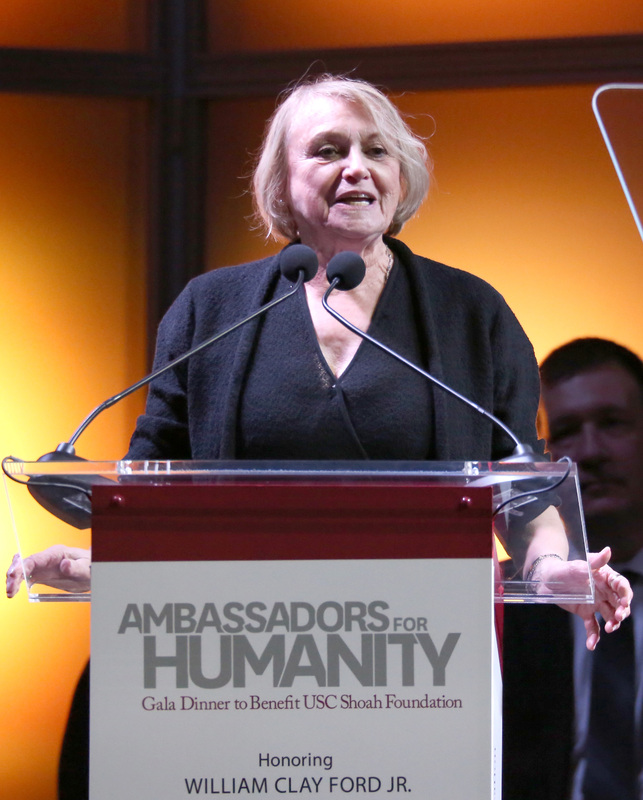 USC Shoah Foundation Executive Director Stephen Smith thanked the audience for their continued support. He also singled out the survivors in attendance for their commitment and bravery. In his remarks, Shapiro touched on the themes of remembrance and thanks. 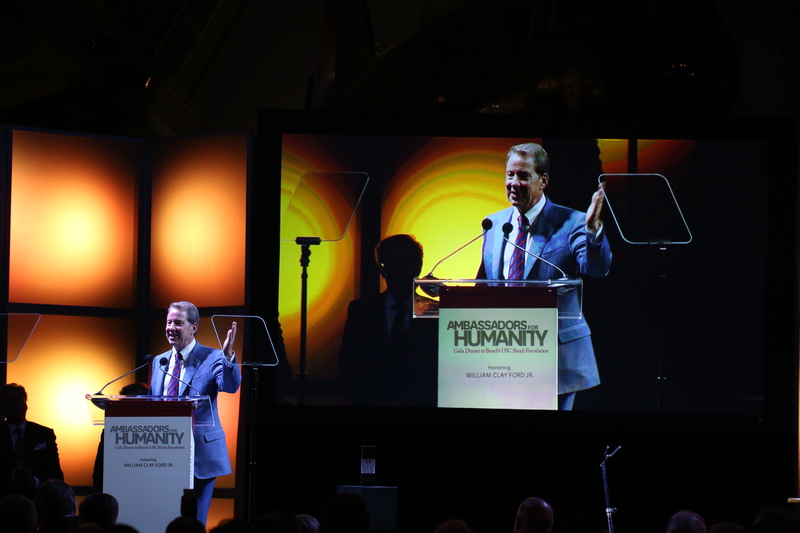 Carell walked the fine line between providing laughs and recognizing the seriousness of the Institute’s mission. He then joked that he felt comfortable in the job because his family had recently attended many bar and bat mitzvahs. 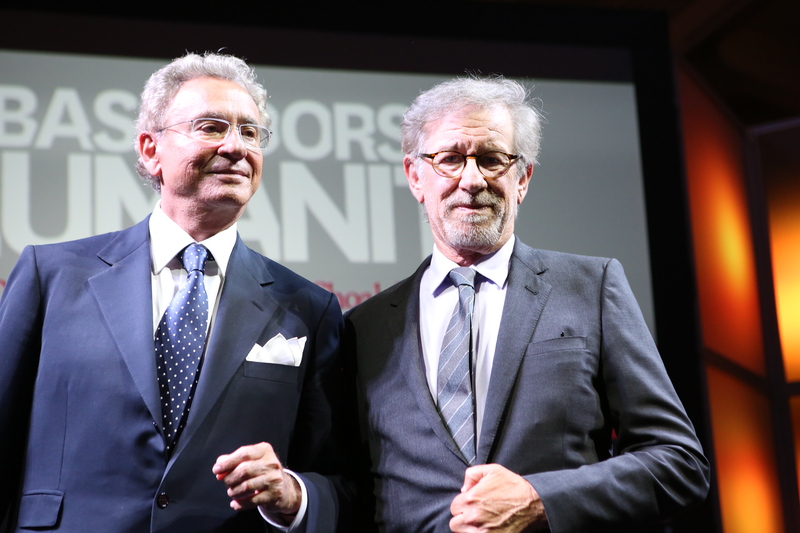 Spielberg started the USC Foundation in 1994 after completing Schindler’s List. His vision was to create an archive of testimony of survivors and other witnesses of the Holocaust.